1. At the end of November 2018, Christian Brothers Automotive announced that it had expanded the senior leadership team responsible for further pursuing franchise development goals. As part of its strategic efforts to grow Christian Brothers into new target markets, eight new members have joined the senior leadership team, including a new interim CFO and new VPs of marketing, technology solutions, operations, leadership development, and neighborly. The recently appointed leaders are all primed to jumpstart various aspects of the brand’s franchising initiatives in 2018 and beyond. Janis Jarosz has been promoted to VP of marketing, where she is responsible for partnering with franchisees to build brand awareness, guide guests to stores, and increase brand loyalty. She brings a broad background in franchise brand marketing to the role, including experience as the chief marketing officer for several national franchise brands. David Domine, promoted to VP of technology solutions, is building upon his experience leading the training team at Christian Brothers for 11 years to create a team to support franchisees and the corporate team to find simple, effective, and efficient solutions to technology challenges. Brad Fink has been promoted to the role of VP of leadership development, where he will work with the home office teams and franchisees to maximize the impact of each Christian Brothers in the community. Fink joined Christian Brothers in 2007 as an entry-level employee and has worked his way up to eventually working in training development for the home office. Zack Bynum, promoted to VP of neighborly, will work to maximize the spiritual impact of the brand and further Christian Brothers’ mission of “love your neighbor as yourself” by working with franchisees who are ministering, serving, and investing in local communities. 3. At the beginning of August 2018, Christian Brothers Automotive announced that it will exclusively use Direct-Hit from Identifix, Inc., a Solera Holdings, Inc. company. Identifix is the automotive industry’s largest, most reliable online database of continually updated and experience-based service, maintenance, and repair information. 4. Identifix Direct-Hit combines the power of the industry’s largest database of experience-based confirmed fixes with Original Equipment Manufacturer (OEM) repair and service information. The platform covers repair procedures for 98% of the vehicles in operation today to provide the most comprehensive and quickest fix repair information services solution in the automotive care industry. 5. Direct-Hit is currently used in more than 58,000 auto shops and by approximately 300,000 automotive service professionals. Christian Brothers Automotive will offer, promote, train, and support the technology in all 182 locations across the country. 6. As the sole provider of diagnostic and repair solutions, Direct-Hit software will allow every vehicle that visits a Christian Brothers Automotive to be diagnosed and repaired faster, making the shop more efficient and providing better customer service through accurate repairs. 7. Christian Brothers Automotive kicked off 2019 by celebrating the brand’s record year. In 2018, Christian Brothers Automotive opened more locations than it had in any other year in the company’s history. By the end of last year, Christian Brothers Automotive opened 21 new franchise locations and signed 26 new agreements. The brand plans to continue this growth in 2019 and plans to open at least 20 new locations by the end of the year. 10. 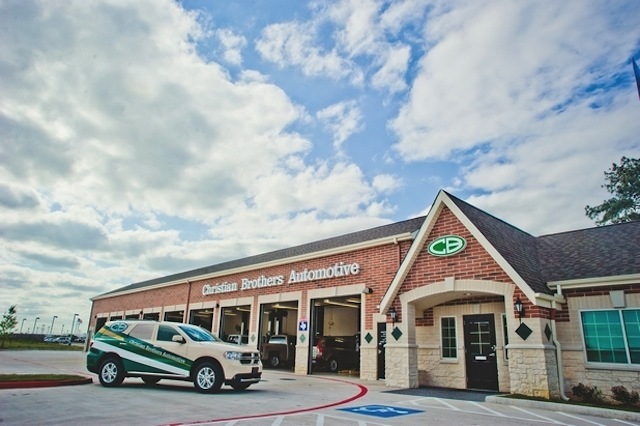 Christian Brothers Automotive was founded in 1982 by Mark Carr and his business partner, who was a friend from church, in Mission Bend, Texas. At the time, Carr was a graphic arts salesman for a photographic mural company, but felt unfulfilled despite being successful. Carr prayed to God to show him a path towards a different vocation and the next day, Carr was approached by his friend, who was an automotive technician looking to start his own automotive repair shop. 11. While his business partner ran daily operations, Carr was initially an offsite owner, but often spent time talking with customers. After one customer complained about the condition of the shop and the waiting area, Carr decided to list all of the things customers typically hated about getting their car serviced and quickly realized there was a need to improve. Carr then made sure that Christian Brothers Automotive would do things differently from its competitors. After several years, Carr bought out his partner’s share in the company and became its full-time owner and operator. 12. Under Carr’s leadership, Christian Brothers Automotive thrived and in 1994 a friend asked Carr to help him start his own automotive repair facility. Carr helped his friend locate and buy the property, hire the technicians and service manager, establish the vendor contacts, set up the parts department, select the equipment and inventory, and create accrual accounts for yearly expenses. This business opened in 1996, and in a year it surpassed Mark’s twelve-year-old location in annual gross revenue. 13. Mark realized that his friend’s business was out-performing his because of the fast track training, robust systems and procedures, and a demographically better location. Carr realized that he should start franchising the Christian Brothers Automotive concept. He began offering franchises for locations around Texas in 1996. 14. Over the next few years, Christian Brothers Automotive continued to grow in the United States and in 2008, the brand announced a growth initiative that would take the brand to approximately 200 stores throughout the Southeast, the lower Midwest, and the Southwest United States by the end of 2017. At this time, Christian Brothers Automotive has not hit this goal, but appears to be on its way to reaching 200 locations. 15. Christian Brothers Automotive ranked No. 210 on Entrepreneur’s 2019 Franchise 500 list. Please click here for detailed estimates of Christian Brothers Automotive franchise costs, based on Item 7 of the company’s 2018 FDD. Please click here for detailed information on Christian Brothers Automotive’s initial franchise fee, royalty fee, marketing fee, and other fees, based on Items 5 and 6 of the company’s 2018 FDD. The following tables and figures relate to the 157 CBA stores operated by franchisees and that were open and operating for the entire 2017 year. This does not include the 15 CBA stores that were opened in 2017. Set forth in this Part 1 are the average Gross Sales for the year ending December 31, 2017 for the 157 CBA Stores that are franchisee-owned and that were open for the entire year of 2017, based upon the below indicated sales ranges. This table includes all Stores that were open by January 1, 2017, and does not include any of the 15 Stores that were opened in 2017.